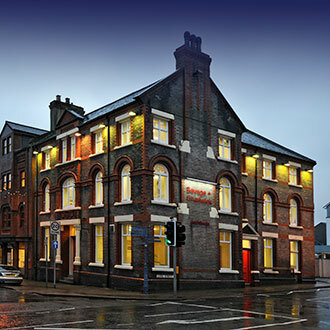 Mark Savage & Philip Chadwick formed their Practice in 1989 with offices in Douglas, Isle of Man. Since that time their Client base has spread to the extent that a broad spectrum of work now fully occupies the Practice. The Isle of Man has experienced rapid economic growth over the past 10 years largely based upon the well regulated Offshore Financial Services Industry. The advancement of computing within architectural design allows the Practice to communicate instantly with Clients & Consultants in any part of the UK or globally. Technology has now eliminated the previous barriers of the Island isolation and allows the Practice to compete for work in a global market. The whole philosophy of the Practice is based upon a quality of service to its Clients. This ethos is applied from the smallest job to the Practices larger work in Public and Commercial Buildings. By nature of its Island Location the Practice enjoys a large range of work having completed Projects in the fields of Health, Education, Commercial, Retail, Leisure, Agriculture, Equestrian and Industry. Savage and Chadwick Hutchinson Lymath is a continuation of a practice established in the Lake District for over 90 years. Mark Savage and Philip Chadwick acquired the Practice in 2006 and built upon the reputation established by former partners Nigel Hutchinson and Anthony Lymath. The Practice has worked on schemes for Booths Supermarkets, English Lakes Hotels and a multitude of private houses. The Practice is in the process of relocating it's core team who remain actively engaged in the Kendal office projects.